The Calla Lily flower that we are offering is called by the name Calla Lily due to its common name that is ‘Zantedeschia’. Conventionally, the flower is grown in hot climates like America and south Africa and it comes under various beautiful colours and varied sizes. Also we have used it as a part of our wedding definition bouquet. 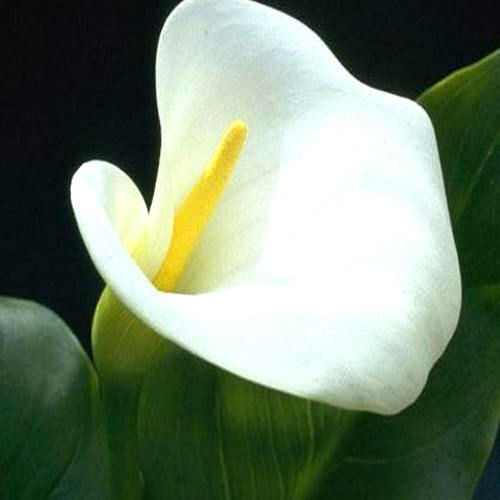 Calla Lily is also useful in the weddings and can use in wreaths for shape hand tied history combined with the funerals. The flower includes no staining pollen without strong odour and moreover, it is everlasting. Lastly, it can also be used as a single flower and if combined, then it can be use as wedding hand tied bouquet. Anu Poly Craft was established in the year 1998. Leveraging on our 10 years experience, we have professionalize in the world of business and have recognized the requirement of our clients. We are mainly offering the engineering products that includes Sanitary Napkin Making Machine, Areca Nut Sheath Plates and Tray Making Machine, Paper Plate Making Machine, Cup Bottom Forming Machine and Cup Body Sealing Machine. We are also offering the products of floriculture and that comprises flowers of Carnation, Gerberas, Eustoma, Hydrangea, Calalily and Alstroemeria. Apart from that we include the service of Farm Stay and in this we are offering the service of Farm Stay Venture. We have selected a strategic global module that provides premium services and the best quality machines at competitive prices to our customers. We deliver our services primarily to the Entreprenuers of Small Scale Industries, Self Help Groups, NGO's and Trusts. We are a client-centric organization and therefore we ensure that our products should be of ace quality and for that we are having our professional team of quality testing executives. The whole process is under their supervision and our constant efforts and the class quality has given us a large client-base. We believe in good and long term relations with our customers. Further, our process of floriculture is also gaining business and clients and moreover our facility and the service of Farm Stay has been integrated to our system. Our consistency in respective field has been recognized globally and assures satisfaction and success of our customers.